Even though every day on an Azamara cruise is reason enough to celebrate, sometimes you just want to raise a glass to something a little extra special. From front row access to some of the biggest festivals and events around the world, to spending the holidays with family and friends onboard one of our luxurious ships, you’ll have plenty to toast. 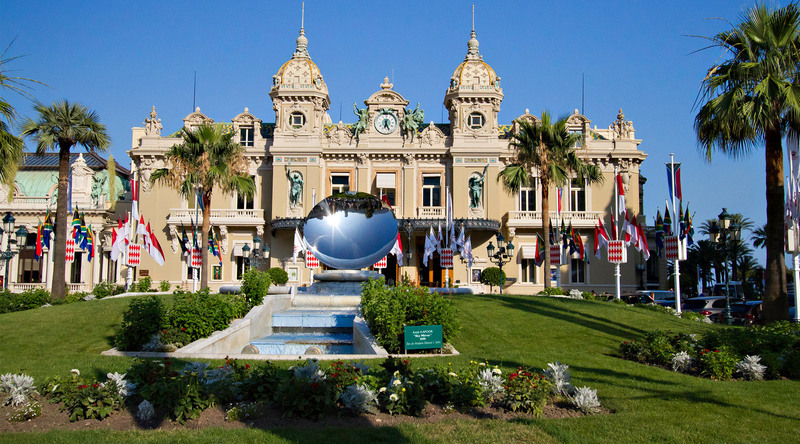 Rub elbows with the rich and famous at the world’s preeminent Formula One race in luxurious Monte Carlo; take notes on your swing as you watch elite athletes hit the links near the birthplace of golf; or join in a rousing rendition of Auld Lang Syne as you ring in the new year from an exotic destination. With Azamara you’ll always find plenty of cause to celebrate. So join us to make merry—we’ll be sure to show you a good time. You can have front row seats for one of the most spectacular and atmospheric nights of the year in Venice—and for a city that radiates charm, that’s really saying something. Held on the third Saturday of July, the Festa del Redentore is a celebration to give thanks for the end of the terrible plague of 1576. A bridge of barges is built connecting Giudecca to the rest of Venice. Then, the celebrations begin on Saturday night as boats and barges in all shapes and sizes congregate in Saint Mark’s Basin for an impressive hour-long fireworks display. Every year, this high-octane event attracts a veritable whose who of the rich and famous to ultra-luxurious Monte Carlo. Considered to be one of the more important—and most prestigious—racing events,fuel your need for speed as you feel the wind brush your cheeks and hear the crack of the checkered flag when the world’s best drivers cross the finish line. And with three voyages to choose from—including an action packed weekend option—putting the pedal to the metal has never been easier with Azamara. This voyage includes not one, but two quintessential French Riviera events: The Grand Prix and Cannes Film Festival. Make it a long weekend with this short cruise and attend the exciting Grand Prix. With an Azamara Golf Cruise, exceptional golf and spectacular sightseeing are just par for the course. We’ll take you to some of the world’s top golf courses in destinations as far flung as New Zealand’s Cape Kidnappers, and the number one course in continental Europe, Spain’s Valderrama. We also offer a once-in-a-lifetime trip to the British Isles for the oldest of golf’s four major professional championships, The Open. Your voyage begins in Lisbon and concludes in Barcelona after eight nights, seven ports and five rounds. The golf lineup is outstanding and includes The Oceânico Faldo Course situated in Portugal’s famed Algarve region. Your voyage begins in Stockholm and concludes in Oslo after nine nights, five ports and three rounds. Golf includes Helsinki’s Hirsala Golf Club which hosted the 2015 European Tour’s Finnish Open. Your voyage begins in Edinburgh and concludes in London after twelve nights, eight ports and five rounds. Your biggest decision may well be whether to join the MAX FAULKNER flight or the FRED DALY flight each offering a number of different courses. Your cruise begins in Lisbon and concludes in Barcelona after nine nights, six ports of call and five rounds of golf. Your cruise begins and concludes in Dubai after eleven nights, seven ports of call and five rounds on layouts where no expense has been spared to transform desert into oasis. An Azamara voyage is always cause for celebration, but we’ve put together a few extra special voyages that will have you toasting, exploring, and feasting in some of the most spectacular destinations on earth. Whether you want to get to know the Islands of the Western Mediterranean, fancy yourself a film buff, or want to experience a taste of Italy, we have a voyage for you. The search for the perfect gift for that hard-to-buy-for person on your list is over. We’ve checked twice, and an Azamara cruise is always the right size, shape, and color. Start a new family tradition or simply get away from the hustle and bustle of the holiday season with a voyage to new and exciting lands. HOLIDAY VOYAGE: ARABIA, INDIA AND AN ECLIPSE Give yourself and loved ones an unforgettable holiday gift: a total annular solar eclipse from sea. Our timing and location couldn’t be better for this dramatic event that will take place on December 26 at 9 AM. Whether you’re looking to escape the holidays or celebrate them in style, this is your ticket. They say how you spend New Years Eve is how you’ll spend the rest of your year. And on an Azamara voyage, you’ll spend your time exploring far away lands, enjoying exclusive experiences, and relaxing in luxurious surroundings. When you start the year with such a bang, just imagine with the next 365 days will have in store!